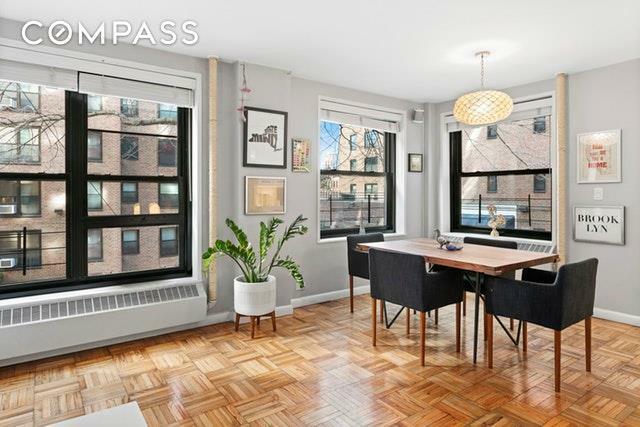 Super inviting, spacious one bedroom corner apartment located in one of Clinton Hill's most popular complexes, The Clinton Hill Co-ops. The minute you enter you can't help but be impressed with the number of windows and the amount light that streams through the entire space. The open living/dining room is impressive in size with plenty of room for an at home work space. The kitchen is an absolute dream. The owner designed the space not only to be functional with plenty of cabinets and counter space but created a stylish space that will make friends envious. 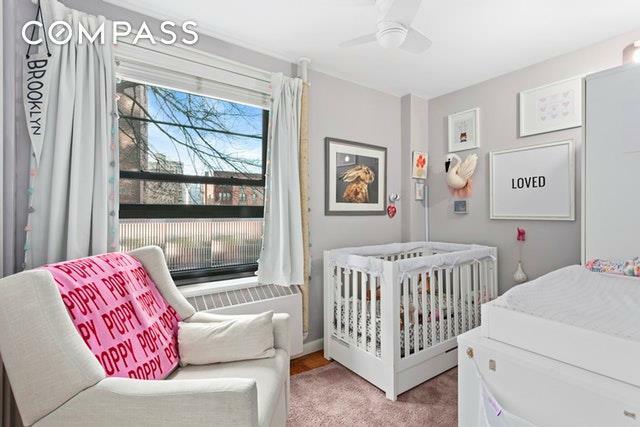 The bedroom is so large the owner created an extra windowed room that could be used as a nursery, office or or simply take the temporary wall down and you'll have a huge master retreat. 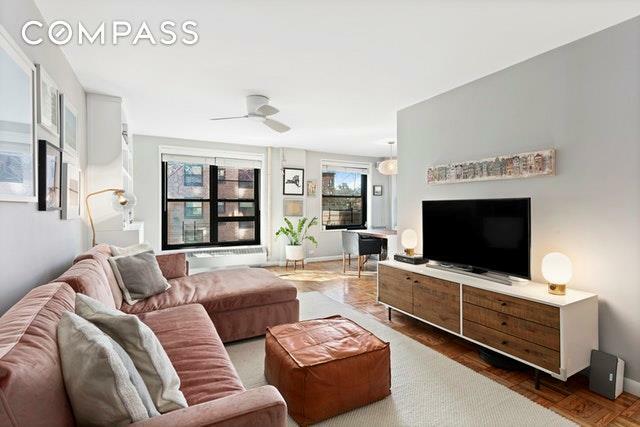 The North campus is just off of Myrtle Avenue giving you access to some of the neighborhoods best restaurants, pubs and shopping in addition Fort Greene Park is only 4 blocks away. 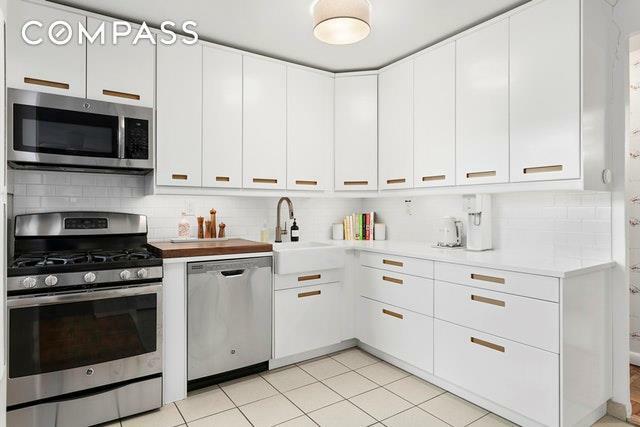 193 Clinton Avenue 2B offers space, style and location at an amazing price. Listing courtesy of Andrew Booth of Compass.